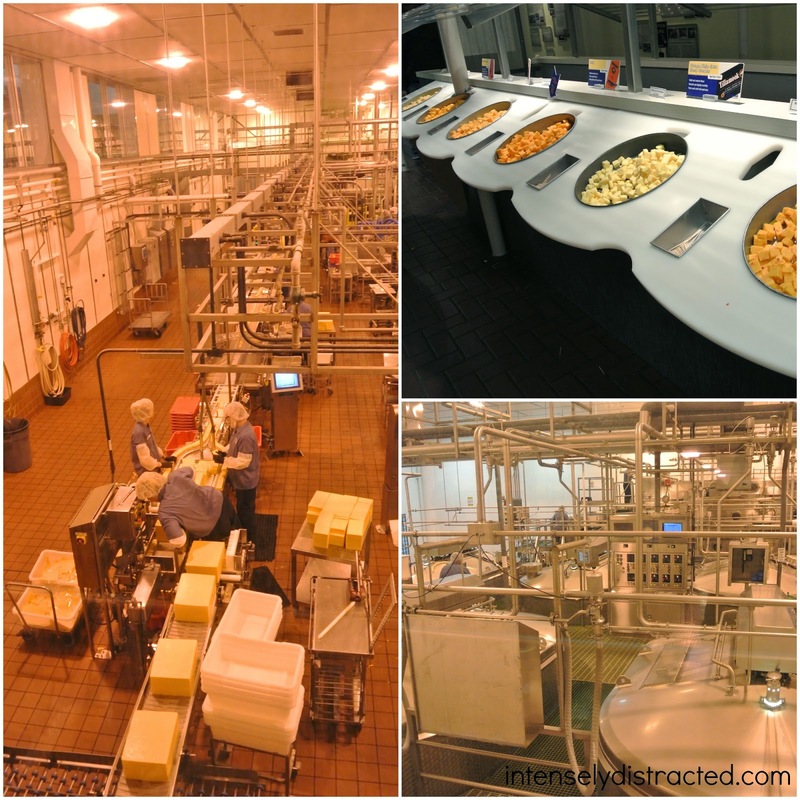 The factory and their self-guided tour was pretty lackluster. It included a little walk-through with info to read and a smaller second level to overlook part of the factory with more info to read. The factory itself was pretty sparse. There was part of one section running and maybe a handful of employees working it. The kids weren't interested in reading any of the info so we didn't stay there for long. Instead, we headed downstairs to try out all the samples. The best part of our visit was definitely the food. The samples were good and we had lunch at their ice cream counter and creamery cafe. 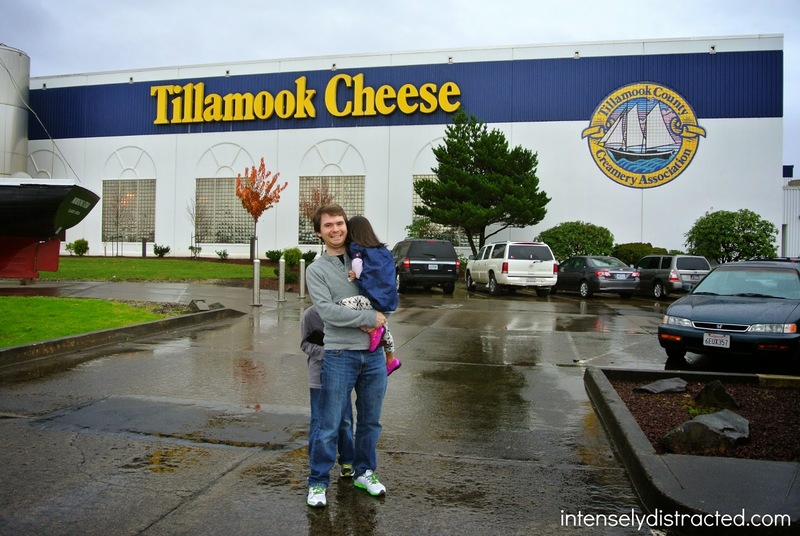 The kids enjoyed their huge ice cream cones and we had an amazing grilled cheese sandwich. 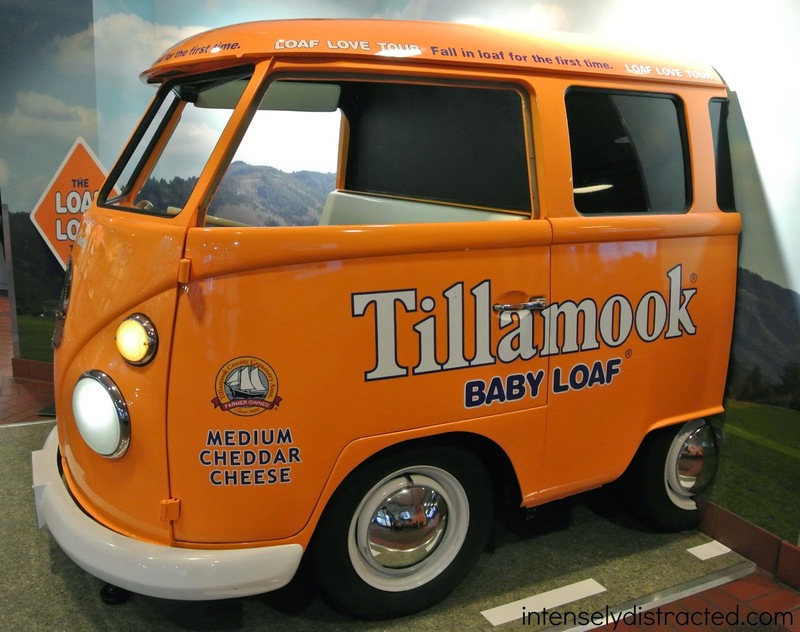 The visit was complete with purchases from their store including Tillamook swag and their factory exclusive squeaky cheese curds. 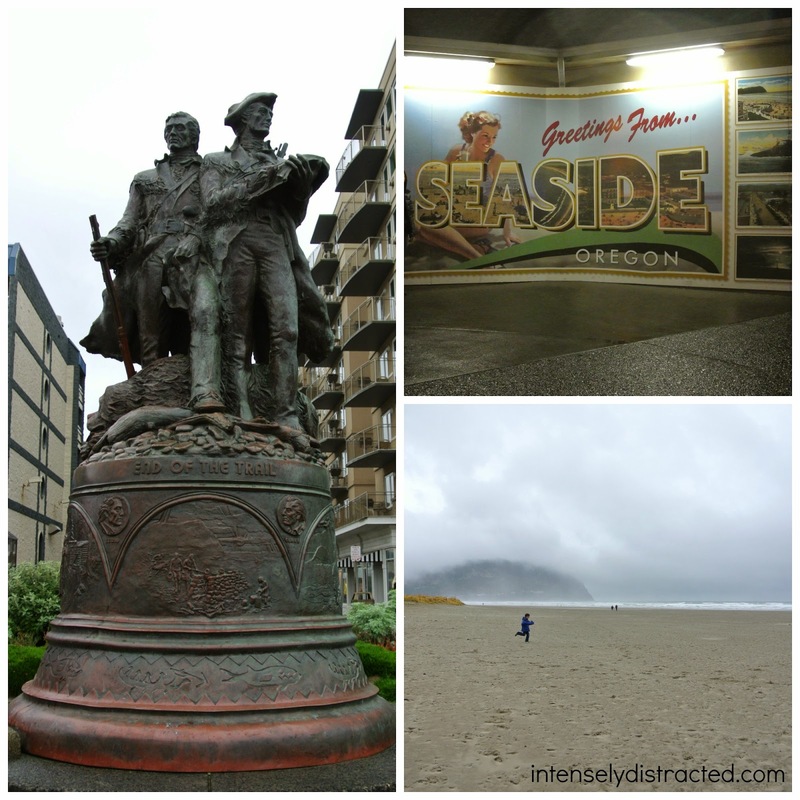 The next leg in our trip was a visit to Seaside, Oregon. Andrew really wanted to take in the Pacific Coast scenery and take the kids to see the ocean which is why we ended up staying a night in Seaside. It wasn't until we got there that we realized that Seaside is definitely a seasonal town and we happened to be there in their off-season which meant a lot of things were closed. After reading up on the town, we learned that this is where they have a commemorative statue to signify the end of the Lewis and Clark Trail. We took a walk along the beach in the very cold, windy weather, took a look at the aquarium to see they were closed for maintenance, then got in the car and headed out to Seattle. The drive was less scenic than expected. It was very gloomy weather and the sun pretty quickly so there wasn't much of a chance to in any views. A bridge we crossed as we made our way north. It actually ended up being a good thing that there wasn't much to do in Seaside, because I woke up that morning to a very awake and chipper Andrew (who is not a morning person at all) in my face telling me the "good" news. Apparently, the friends we were visiting were a lot further away than Andrew thought which meant we had to get on the road if we wanted to make it there at a decent hour. Basically, the lackluster visits were an even bigger waste of time than originally planned and we could have avoided all of it had we known how long it was going to take to do the extra loop. 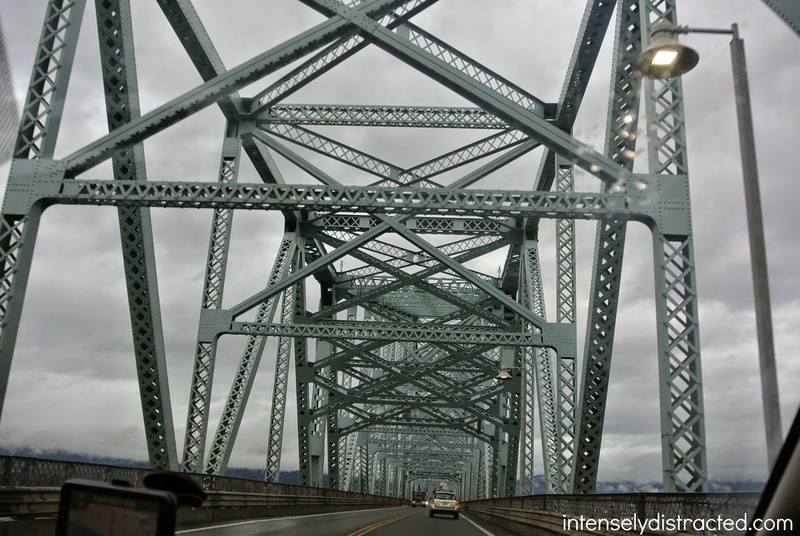 Even though this was a failed leg of the trip, our final destination was well worth the drive. Next stop: Seattle!